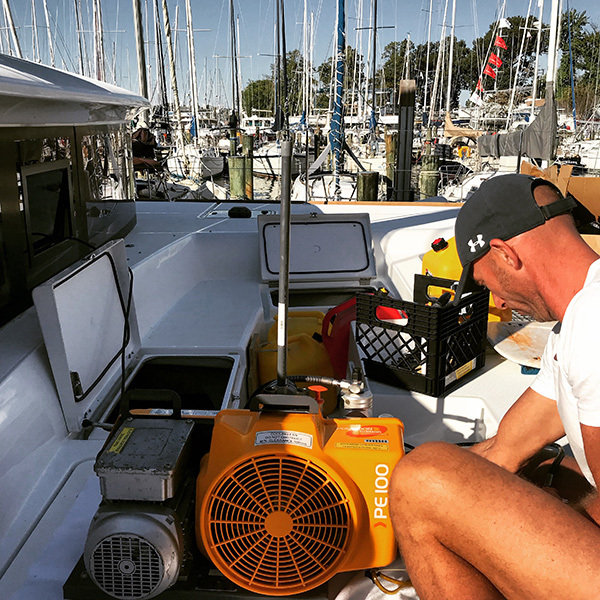 When we arrived to Annapolis the sun was shining and we had the pleasure to try out the air-condition unit both night and day. Now only 3 weeks later we are running the heating system all night long to stay warm. The leafs are getting reddish and it is time to head down south again. 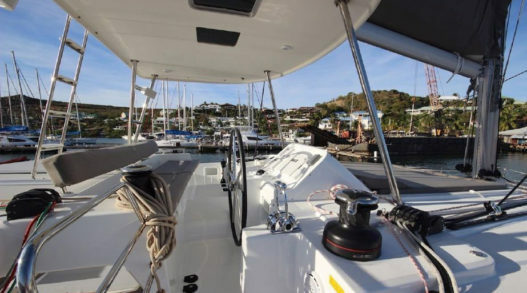 The boat is getting ready for departure and we are excepting to leave United States for St Marten within 2 weeks time. Its hard to explain how happy you feel when you move into your new dream home. 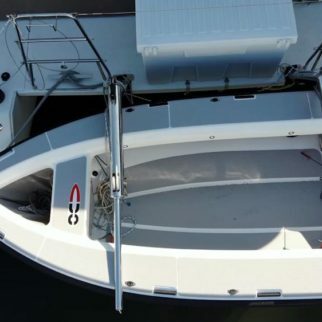 This amazing sailing machine will hopefully keep us safe and give us hundreds if not thousands of memories from all over the world in years to come. We are so lucky that we have the opportunity to fulfill our dreams over and over again – thank you life!!! 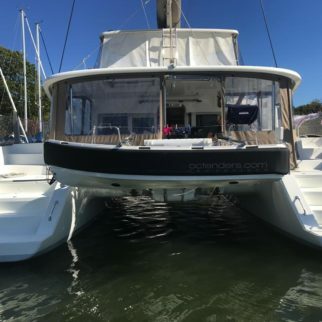 We have been super busy since our arrival to Port Annapolis Marina and our new boat Bay Dreamer 2.0. 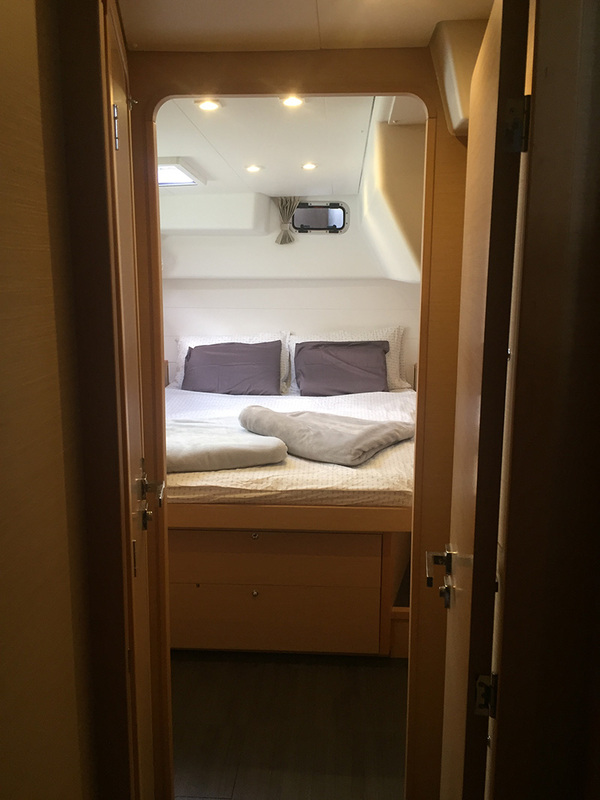 Even though the boat was a bloody palace from start our to do list have been long and we have been working around the clock to be ready in time for departure. 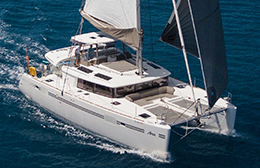 Our 5 years on the oceans have toughed us a lot and this time we knew exactly what we wanted and what we needed onboard to make our life as easy as possible while cruising the seas. 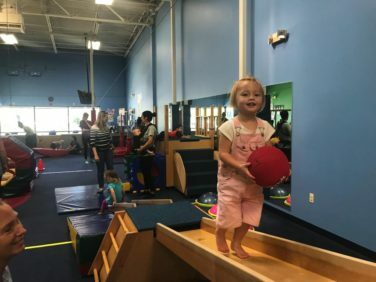 Normally we would have been twice as fast but things are different when you have a hyper active 2.5 year old Olivia around. 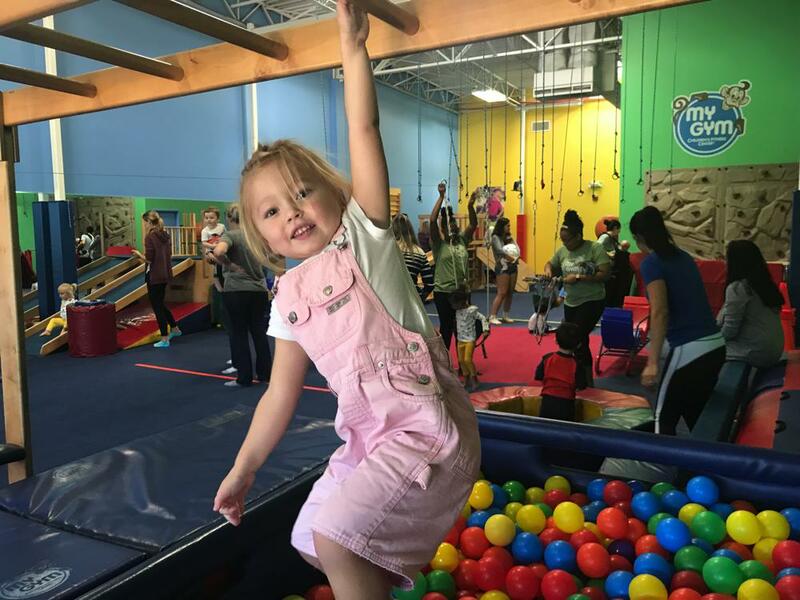 What ever we do we have to do it alone because one will always hang out with the little monkey! Olivia has signed up for a gymnastics class here in Annapolis to kill time while we are working with the boat, 3 days a week she and a whole bunch of high energetic toddlers are learning and playing at “My Gym”. Besides taking gym classes she is also learning how to navigate, swimming (yeah she kinda fell of the boat) and also the names of almost all the tools we have aboard the boat. This post is anything but interesting if you are not a 100% (boat) nerd, feel free to stop reading now- you won’t hurt our feelings!!! One thing that I am SO over is to repair inflatable dinghies and paddle boards that are constantly leaking. The result after a repair is never good and it is like a never ending story to find and repair those tiny holes you get after a while. 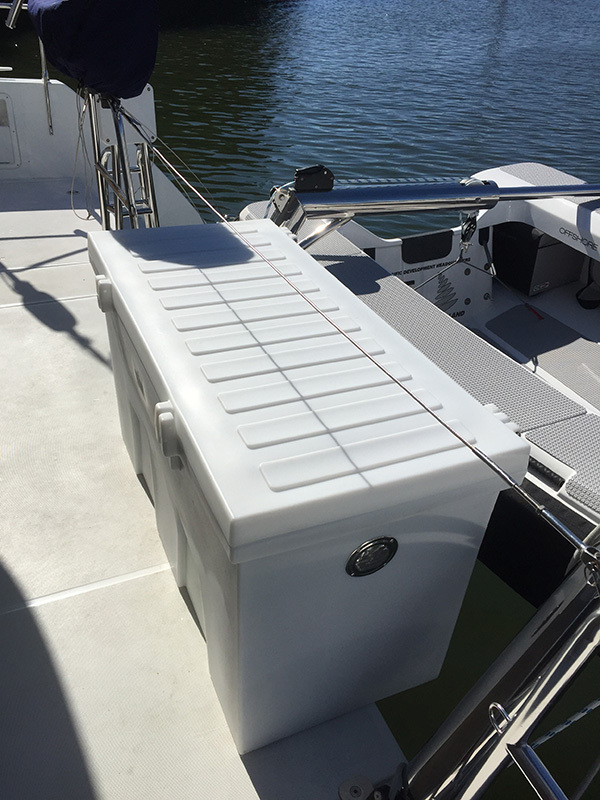 Our solution to this time consuming and annoying problem is to not have any inflatable stuff onboard the boat. 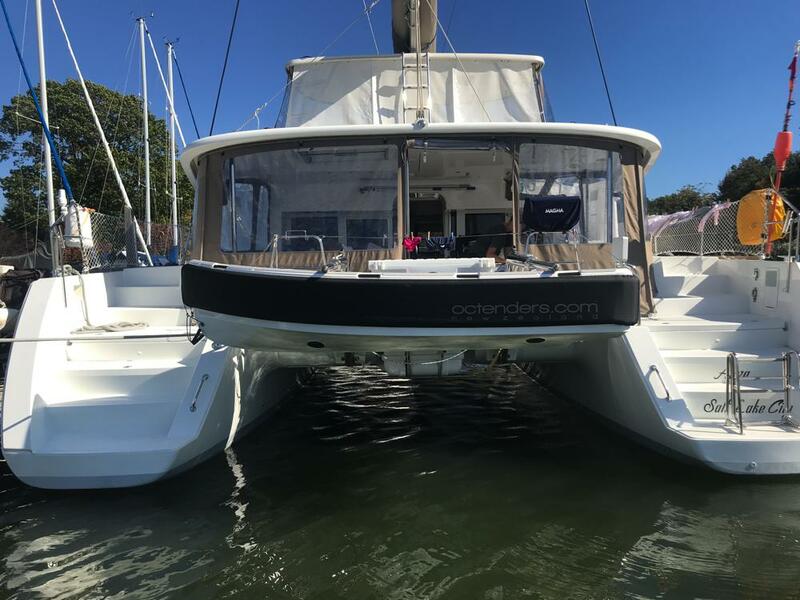 During our time in New Zealand we encountered an awesome tender from a company called OC TENDER. 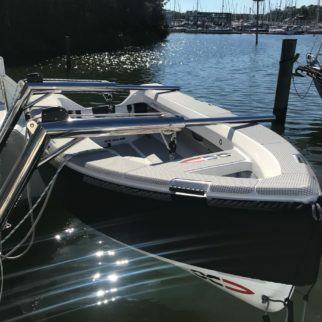 Its fast, light, good looking, unsinkable and it offers way more space than a traditional inflatable tender and best of all- nothing is inflatable on this amazing little boat. We knew all along that some day we will have one hanging in the back of our dream boat. The cost is not more than a lousy inflatable and you get so much more!! Just to be on the safe side we have installed a water filtration system that will get rid of all types of bacteria, bad smell and chlorine. Another upside is that we now can drink directly from our kitchen tap, regardless if we have filled dour tanks from a marina or our own water maker. On top of that we also installed two more filters to protect our water maker. Tired of chasing the amps – let the amps chase you! Its all about the electrical!! One thing that ALWAYS causes problems on board is electricity, you always need more and what you have is never enough. Remember that electricity equals water and diesel. It might sound strange but when the batteries are low you can’t make water, and the only solution to that problem is to fire up a motor that consumes diesel to make things right again. 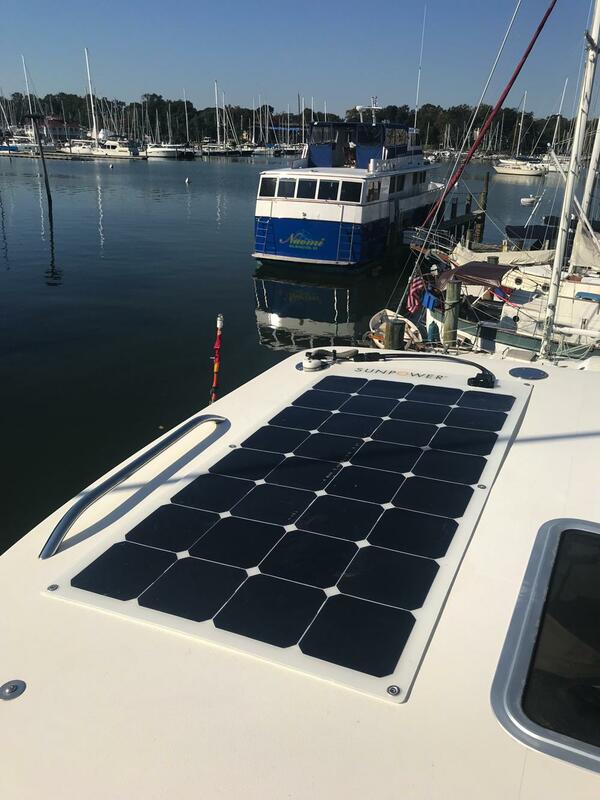 On this boat we do have a generator and we do need it to run the dive- compressor and the ac units but the goal is to make good even without it. 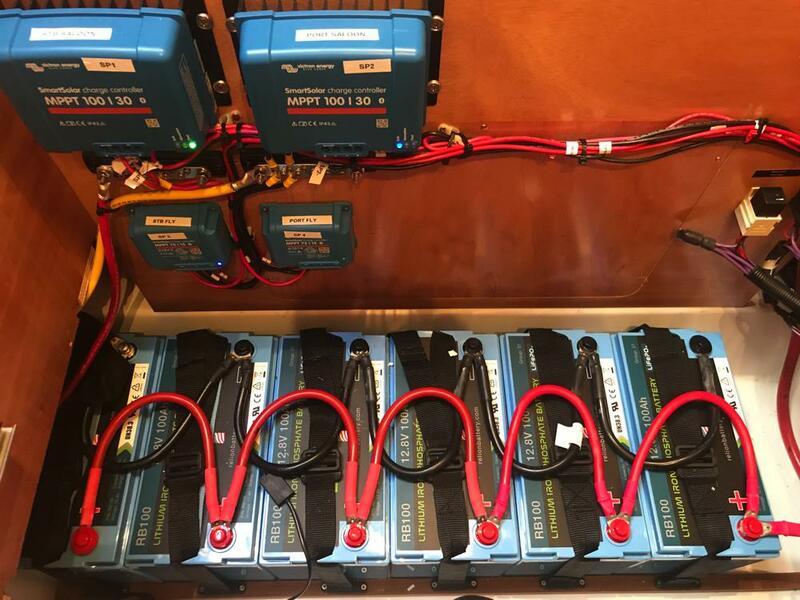 Lithium batteries instead of AGM – Faster charging time, more capacity and just better in any way. We went for batteries from a company called Relion. I almost vomited in the store when I paid for them- my good, the expense was trough the roof BUT if I knew then what I know now I would have been smiling. 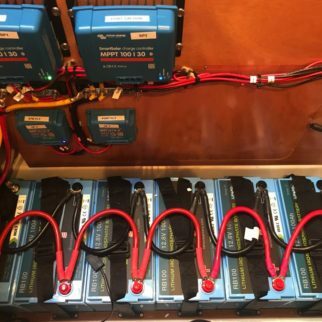 You can’t compare these types of batteries with others- its a complete different ball game. 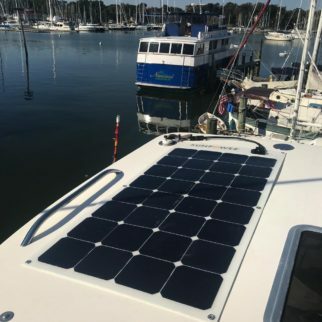 When we are finished we will have around 2000 watt of solar panels on the boat. 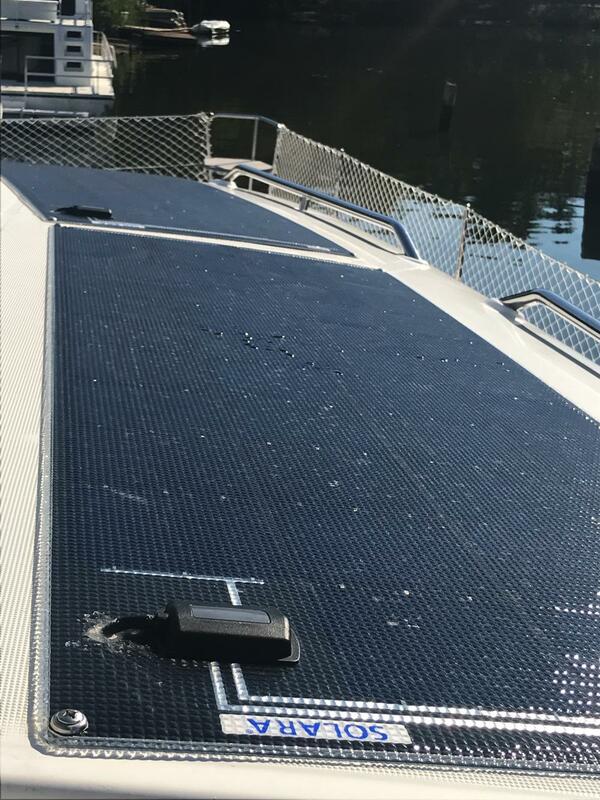 Right now we have installed high quality “walk on panels” on the saloon roof from Solara and a couple of flexible panels on the flybridge roof from Sunpower. 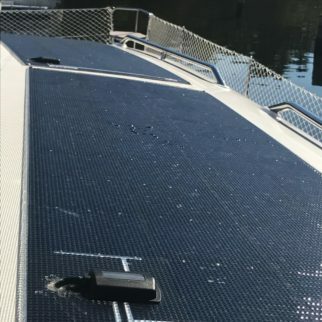 So far we have 860 watt of panels installed but when we arrive to St Marten we will have another 1500 watt installed on a stainless steel frame we will have built over there. To control the power from the panels we have installed controllers from Victron. 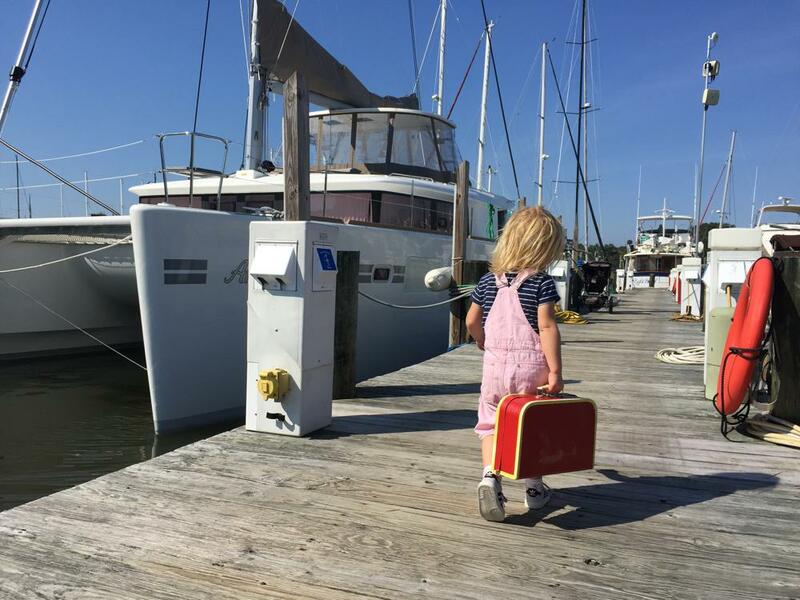 This boat is so much bigger than our old boat but she also carries a lot of equipment that we are not used to have onboard. 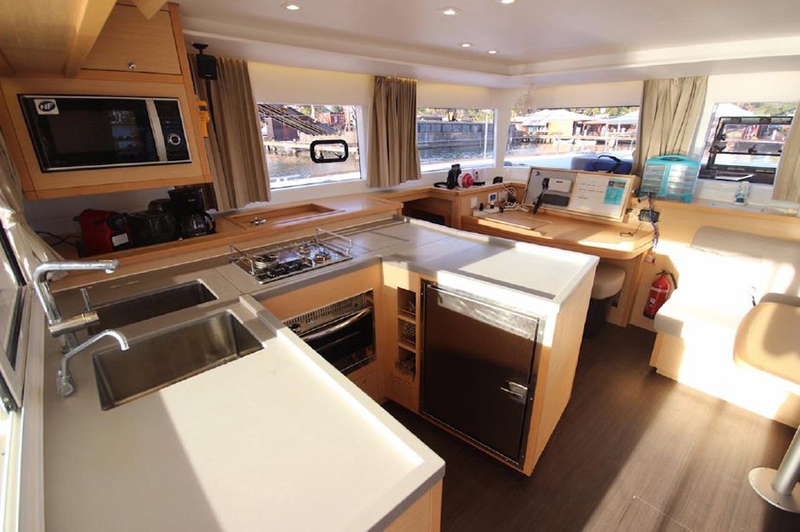 The air condition units and the genset takes up a lot of space both outside and inside. 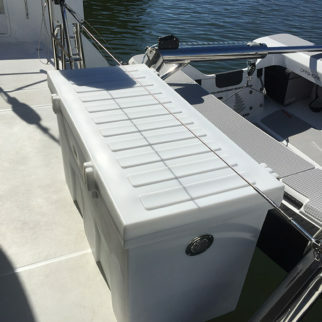 To compensate we have installed a semi- ugly storage box in the back of the boat with a soul purpose to offer storage for dive and snorkelling equipment. 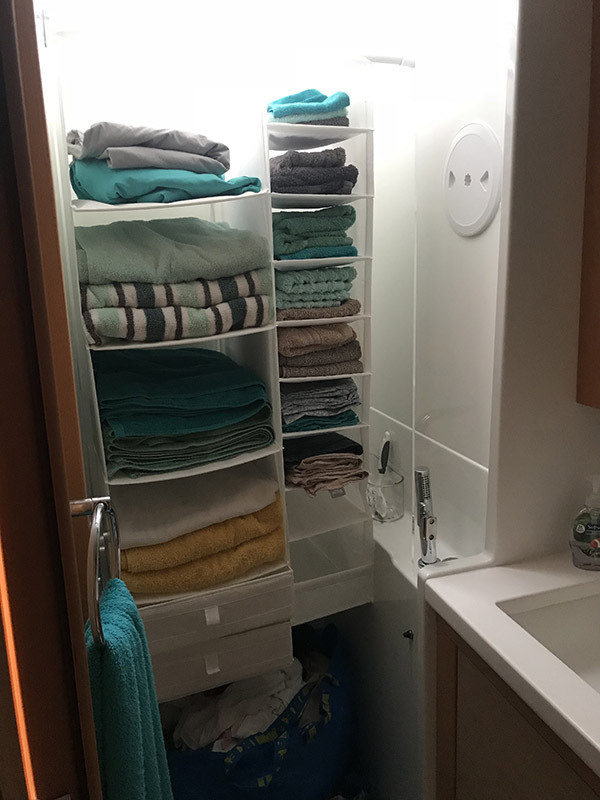 We can now keep all other outdoor storage compartments 100% dry at all times. All wet stuff such as wetsuits bcd´s and masks in the ugly box. 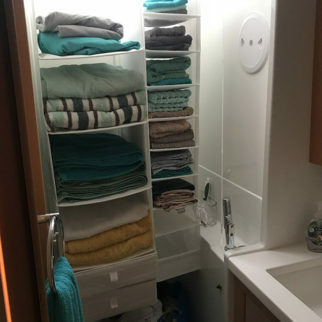 We have also installed a “hanging wardrobe” from IKEA inside one of our 4 showers to give us more space inside the boat. 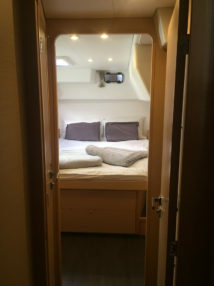 We just don’t see the point of having 4 showers onboard the boat. 90% of the times we and our crew showers outside and if we all are showing inside- well than we need to share…. 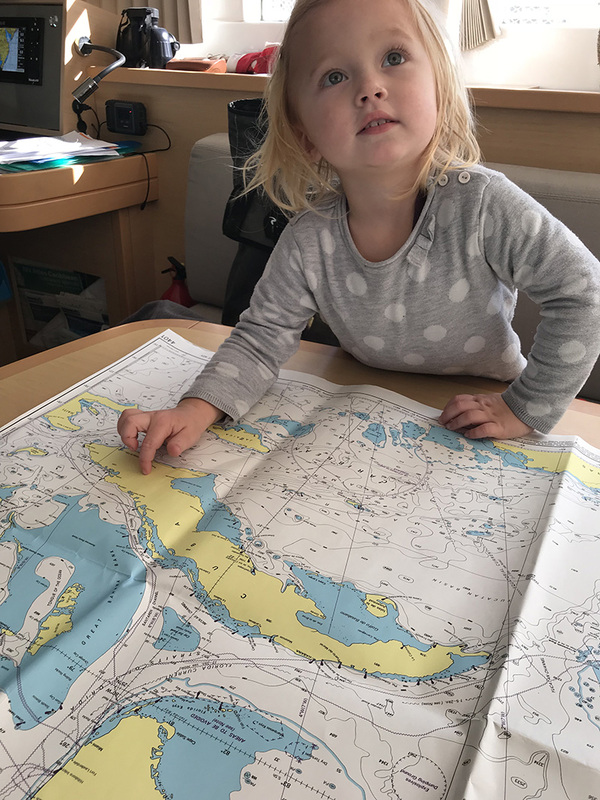 To have a little 2.5 year old monkey onboard the boat has its concerns. Except constantly throwing daddy tools over board the biggest concern is the risk of the little monkey falling over board into the water. 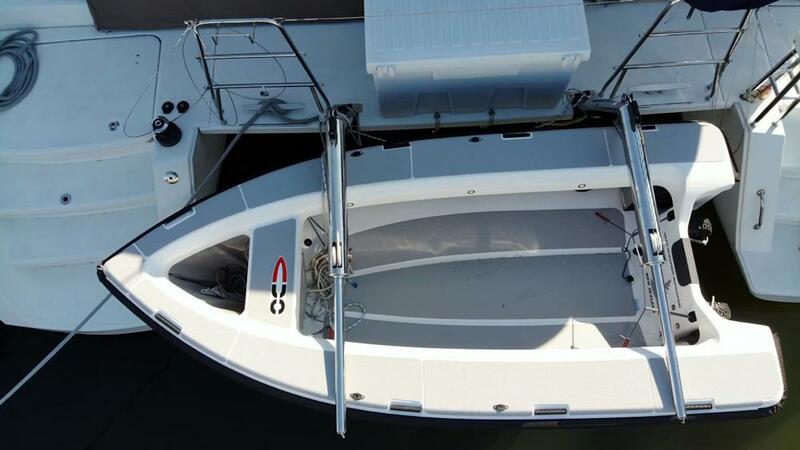 To prevent this we spent 3 days with mounting a safety net all around the boat. Sure she can still climb over the net and into the water but the risk of her falling over board is now eliminated. 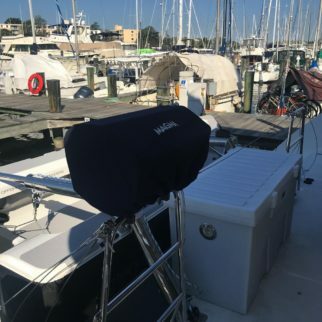 Besides the normal setup with an EPRIB, life buys, throwing ropes, grab bags and fireworks we also invested some money into self activated AIS transponders so in case we loose someone overboard we increase our chances to find and retrieve that person fast with the help of these little gadgets. The AIS transponders self activates when a life jacket inflates and sends a signal with the persons location to our onboard navigation system. Olivias life jacket is also pimped with self activated strobe lights and reflexes to make her more visible in case she falls into dark waters. 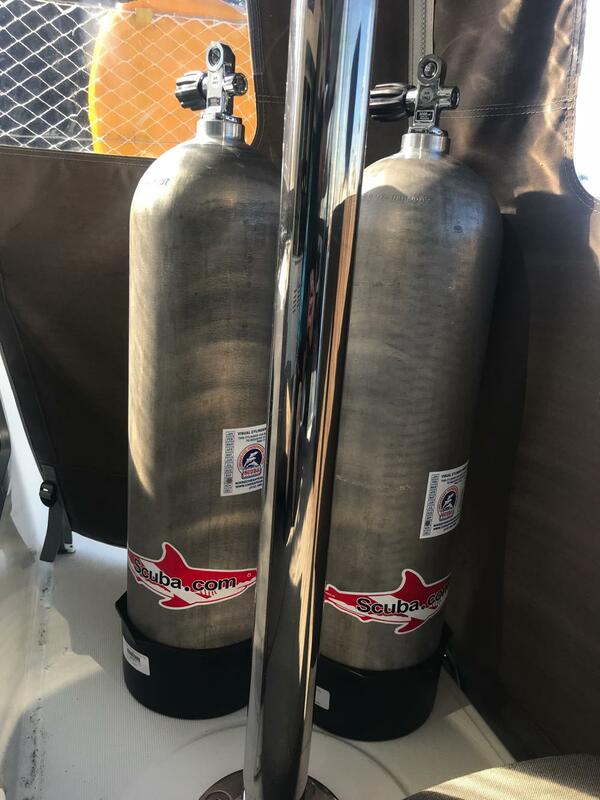 I am a big fan of the small scuba tanks in steel but I am in the same time also a big HATER of rust and spending time on unnecessary maintenance. 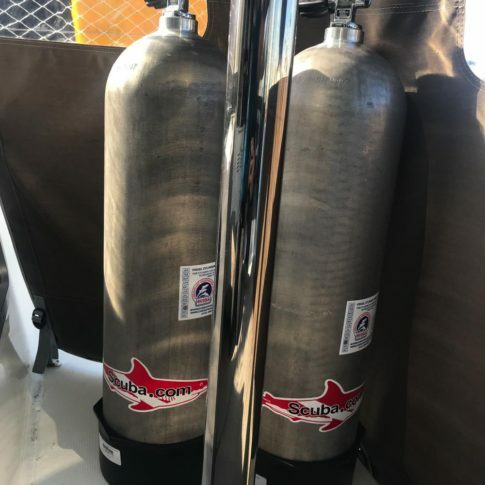 This is the main reasons for us to go with 12 liters aluminum tanks this time- no maintenance, lighter and definitely no rust!! We also tested our dive compressor and it works as a charm, high quality made in Germany – a Bauer Posedion. Security – be alarmed !! 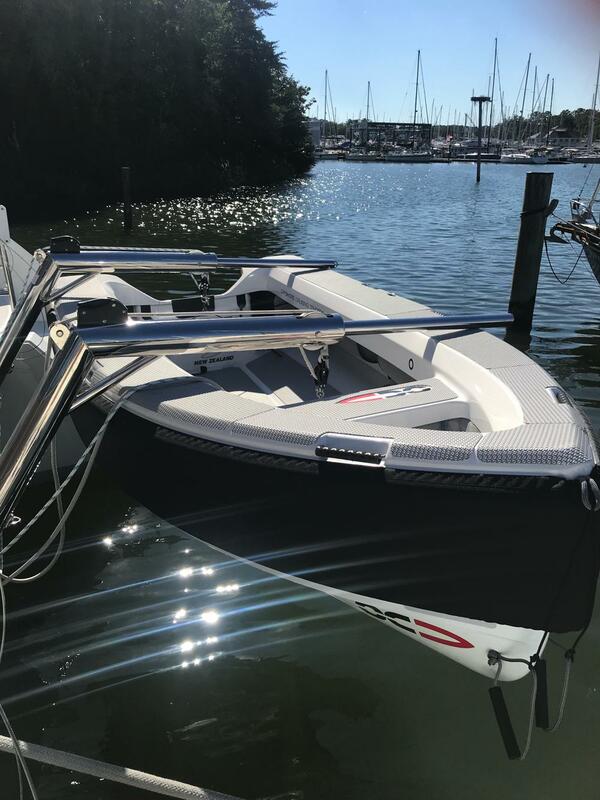 In the past we had 2 attempts to steal our dinghy and we also had unwanted guests onboard both boat while sleeping and when we have been away. 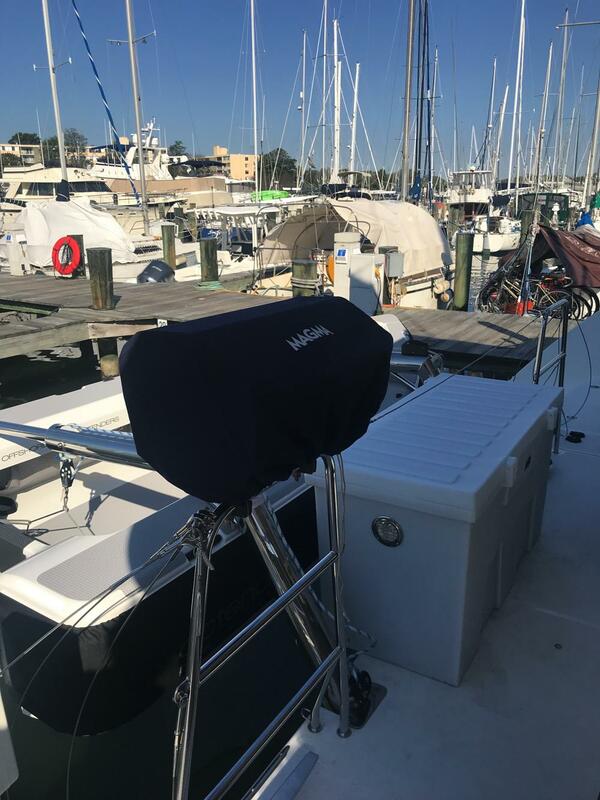 This time we have installed a security alarm system that hopefully will scare of or at least wake us up in case someone gets onboard the boat. The alarm system will if activated sound an alarm AND also turn on both deck light and cockpit light. No one wants to be an intruder onboard a loud screaming Christmas three!!!! We of course done a lot of other stuff as well but nothing worth putting in writing..